The Flash Fire Mini-Reviews have awoken once more. This week we will be taking a look at some of the Games, Books and other creations featuring the big green guy (no, not the Hulk) known as Cthulhu, one of the Great Old Ones in H.P. Lovecraft’s Cthulhu Mythos. Cthulhu first appeared in the short story “The Call of Cthulhu” and has made many, many other appearances since in fiction, games, toys and artwork. Today we’re just taking a peek at a few of the Cthulhu-related items I’ve come across in the last few weeks. I first noticed the Gumshoe System with the release of Esoterrorists. Very cool stuff. Then, I heard that Pelgrane Press was working on a Cthulhu game. I have always been a fan of the Mythos, but could never really get into Call of Cthulhu. I don’t know why, maybe the system just didn’t work for me. it could have been the writing style or even the fact that I became aware of it way late in the production schedule and always felt like I was playing “catch up” to those who had been playing it for years. 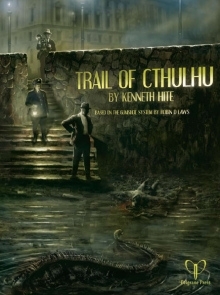 With Trail of Cthulhu I had the chance to jump into the Mythos all over again. The Gumshoe System works great, investigations are the focus of the game and character creation is easy. 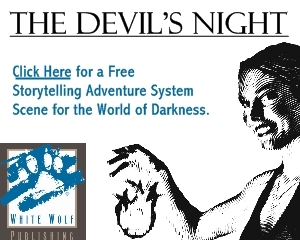 This has become one of my absolute favorite Role Playing Games. The art is amazing, the writing is very well done. There are some great free Resources available for download. The Player’s Guide is only $10.95, so your Players don’t have to shell out a ton of money for a whole book. Buy this game, you won’t regret it. I was getting tired of some of the Mythos fiction anthologies that had hit the shelves over the last few years. Not to say they were bad, they just seemed to be the same thing over-n-over again. I really enjoyed Delta Green because it was the Mythos with a twist, not only did it move things to a new decade, it introduced some new factions. Frontier Cthulhu explores a different era (a few of them) and lets the authors try to expand the Mythos with a style all their own. It is difficult to pick a favorite story in this collection, an exercise I often find pointless in a review. My favorite will not be your favorite, and someone else will disagree with us both. 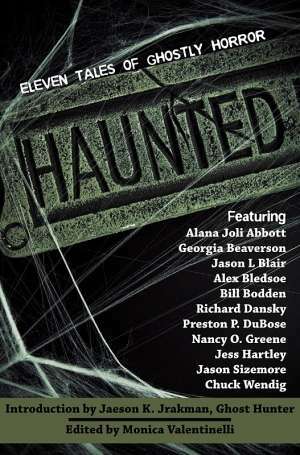 Regardless, there is some great material here and everyone will find something cool in this anthology. Written in 1926, just before the advent of “talking” pictures, The Call of Cthulhu is one of the most famous and influential tales of H.P. Lovecraft, the father of gothic horror. Now the story is brought richly to life in the style of a classic 1920s silent movie, with a haunting original symphonic score. Using the “Mythoscope” process, the HPLHS has worked to create the most authentic and faithful screen adaptation of a Lovecraft story yet attempted. From the cultists of the Louisana bayous to the man-eating non-euclidean geometry of R’lyeh, the HPLHS brings Cthulhu to the screen as it was meant to be seen. Eighteen months of production and a cast of more than 50 actors went into making this film a period spectacle that must seen to be believed. This is a must have for any Lovecraft fan. That could be seen as an over-done statement, but really, I can’t recommend it enough for anyone who enjoys the Mythos. A lot of creative energy went into this production and it really shows. There are plenty of great extras on the DVD as well that are a treat to watch. The Call of Cthulhu is available at Amazon.com. Aw, shucks! Y’all loved Munchkin Cthulhu so much, we jes’ had ta bring ya more of that down-home Munchkin craziness! Munchkin Cthulhu 2 – Call of Cowthulhu puts the Great Old Ones out to pasture, Munchkin-style! In this 56-card supplement you’ll find: More monsters! Hog-Sothoth, the Sheep Ones, Shoggoats – even Cowthulhu itself! More whackers! Squish unnatural creatures with the Rolling Pin, chop them down with the Scythe, or clean them up with the Super Duper Pooper Scooper. A new card type – Madness! These are played like Curses, but every Madness has its advantages as well! And more of everything else. Watch out for Old Man Nodens with his faithful Doggoth, resting on the porch. Defeat the Arkhamster with your Prize-Winning Preserves. And fear . . . Bovine Intervention! Call of Cowthulhu. Country life will never be the same. I recently wrote a review of Munchkin Cthulhu were I made mention of the expansions adding new material to the game. I didn’t really have to worry. This expansion is great. Some very funny new jokes have been added and it makes the game much more interesting. If you enjoy any of the other Munchkin games and/or are a fan of Cthulhu…you owe it yourself to get this game and the expansion. The rules are easy to learn and fun to play. Munchkin Cthulhu 2 is available at Amazon.com. Sideshow is proud to present the Cthulhu Statue by SOTA Toys. This dynamic figure is an outstanding interpretation of the Cthulhu creature, cast in high-quality polystone with detailed wings, featuring an individually hand-numbered base. Way back when these first became available I asked Green or Red Cthulhu? because I couldn’t really figure out which one to get. They were both pretty cool. The green one is more “classic” and the red one is a limited edition exclusive, so I was torn. Anyway, I ended up pre-ordering the green guy for the classic look. I missed out on the HorrorClix Cthulhu statue and didn’t want to pass this one up. Take a look for yourself and see just how cool this thing is. The Cthulhu Polystone Statue is available at Sideshow Collectibles. The “Call of Cthulhu” is done for the day. Hopefully you enjoyed this round of mini-reviews and will let us know what your favorite Cthulhu product is in the comments. Suggestions for the next round of Flash Fire Mini-Reviews?